MHT-CET (MHCET) is conducted by Government of Maharashtra, State Common Entrance Test Cell for admission to first year of full-time degree courses of Health Sciences and Technical Education (Engineering and Technology, Pharmacy) in the state of Maharashtra. One important change from 2019 is MHT-CET 2019 will be conducted as an Online Computer based Test instead of Pen-Paper based examination. UPDATE (Apr 23, 2019): MHT-CET 2019 Hall Ticket released, read more here. UPDATE (Apr 15, 2019): MHT-CET 2019 Exam Schedule announced, read more here. UPDATE (Jan 1, 2019): MHT-CET 2019 Registrations started, read more here. UPDATE (Jan 1, 2019): Check detailed procedure for filling form of MHT-CET 2019 here. UPDATE (Dec 20, 2018): MHT-CET 2019 tentative exam date announced. Exam will be conducted during May 2, 2019 to May 13, 2019. UPDATE (Nov 14, 2018): MHT-CET 2019 Pattern and Syllabus announced. The exam will be a computer based test (CBT). Paper I (PCM) will consist of two subject papers namely, Mathematics, and Physics+Chemistry. Paper II (PCB) will consist of two subject papers namely, Mathematics, and Biology. Paper III (PCMB) will consist of three subject papers namely, Mathematics, Physics+Chemistry, and Biology. Each subject paper will be one and half hours duration and 100 marks. The medium for examination shall be English or Marathi or Urdu for Physics, Chemistry and Biology. However, Mathematics paper shall be in English only. Syllabi of Physics, Chemistry, Biology and Mathematics for the MHTCET-2019 will have 20% weightage of class XI curriculum and 80% weightage of class XII curriculum. Whole syllabus of Physics, Chemistry, Biology and Mathematics of class XII. Selected topics of class XI listed here. The official mock test series for MHT-CET is prepared by TCS iON and is available on a payment of Rs 118. Candidates interested in purchasing the Mock Test series can purchase it from candidate’s portal available after logging in on MHT-CET website. Candidates can also register for a Practice Test till April 10, 2019. The practice test will be conducted form April 12, 2019 to April 30, 2019. The registrations for MHT-CET 2019 examination will begin on January 1, 2019. The last date to apply is March 23, 2019 without late fee and March 31, 2019 with a late fee of ₹500. The last date to make payment (Both Online and Bank Challan) is April 3, 2019. Open mhtcet2019.mahaonline.gov.in & click on “Registration (For New Candidates)”. Read the instructions carefully and choose between Aadhaar or Non-Aadhaar based registration as per your choice. Pay the examination fee online using Debit card/ Credit card/ Net Banking or pay at Bank using Bank Challan. It will be conducted at all the district headquarters in the State of Maharashtra. The eligible candidates passing qualifying examination can select the examination center of their choice while filling the online application form. The center once allotted shall not be changed under any circumstances. 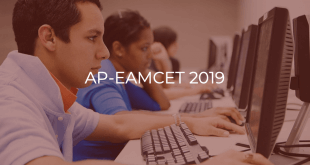 The admit card can be downloaded from the MHT-CET site after April 25, 2019 April 23, 2019. Candidates are required to bring the printout of the Admit Card and valid Photo ID proof on the day of examination. The answer keys of Computer based examination will be made available on the MHT-CET website as per schedule. The recorded responses of the candidates will also be made available to candidates along with the answer keys. 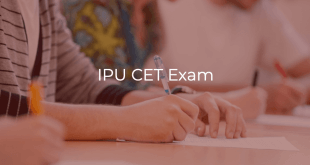 The result of the exam will be declared on MHT-CET website on or before June 3, 2019. In order to normalize the candidate scores across multiple sessions, Percentile scores will be used. The Percentile score is score calculated based on the relative performance of all the candidates who appeared in the exam. It will be calculated up to 5 decimal places to avoid bunching effect and reduce ties. Candidates will be ranked by their Percentile score. The score and rank secured by a candidate will be shown in the result. Candidates passing SSC AND also HSC or Diploma in Engineering or Bachelor of Science Examination from a recognised institution in Maharashtra State. A Candidate who does not fall in Type-A, but who or whose Father or Mother is domiciled in the State of Maharashtra and possess Domicile Certificate. The Candidates having Indian Nationality are eligible under this Category. The Candidate belonging to a particular Linguistic or Religious Minority Community from State of Maharashtra and as notified by the Government are eligible under this Category. The children of citizens, who are displaced from Jammu and Kashmir to any part of India or from unsafe border area of Jammu and Kashmir to a relatively safer place in Jammu and Kashmir from 1990 onwards due to terrorist activities. The children of officers belonging to Indian Administrative Services (IAS) or Indian Police Services (IPS) or Indian Foreign Services (IFS) and children of staff belonging to military and paramilitary forces transferred to Jammu and Kashmir to combat terrorist activities and joined the post on or before the last date for submission of application for admission. The children of staff and officers of Jammu and Kashmir police engaged in combating terrorism are eligible under this category. NOTE: Preference is given to the J&K Migrant candidates appeared for JEE (Main) 2019 over MHT-CET 2019. Children of NRI / OCI / PIO, Children of Indian workers in the Gulf countries, Foreign National are exempted from appearing for MHTCET 2019. Passed HSC or its equivalent examination with Physics and Mathematics as compulsory subjects along with one of the Chemistry or Biotechnology or Biology or Technical or Vocational subjects and obtained at least 50% marks (45% for Backward class categories and PwD candidates belonging to Maharashtra State only) and obtained score in MHT-CET 2019. Passed Diploma in Engineering and Technology and obtained at least 50% marks (45% for Backward class categories and PwD candidates belonging to Maharashtra State only). Passed B.Sc. Degree from a Recognised University as defined by UGC and obtained at least 50% marks (45% for Backward class categories and PwD candidates belonging to Maharashtra State only) and passed XII standard with Mathematics as a subject. Passed HSC or its equivalent examination with Physics and Mathematics as compulsory subjects along with one of the Chemistry or Biotechnology or Biology or Technical or Vocational subjects and obtained at least 50% marks (45% for Backward class categories and PwD candidates belonging to Maharashtra State only) and Obtained score in JEE(Main) Paper I or MHT-CET 2019. Students must bring the printout of the Admit Card, valid Photo ID proof for identity verification on the day of examination. Candidates can contact DTE Maharashtra through written communication, phone or email.